Nature's multi-vitamin! Bee pollen contains 22 different minerals and elements that the human body requires each day. 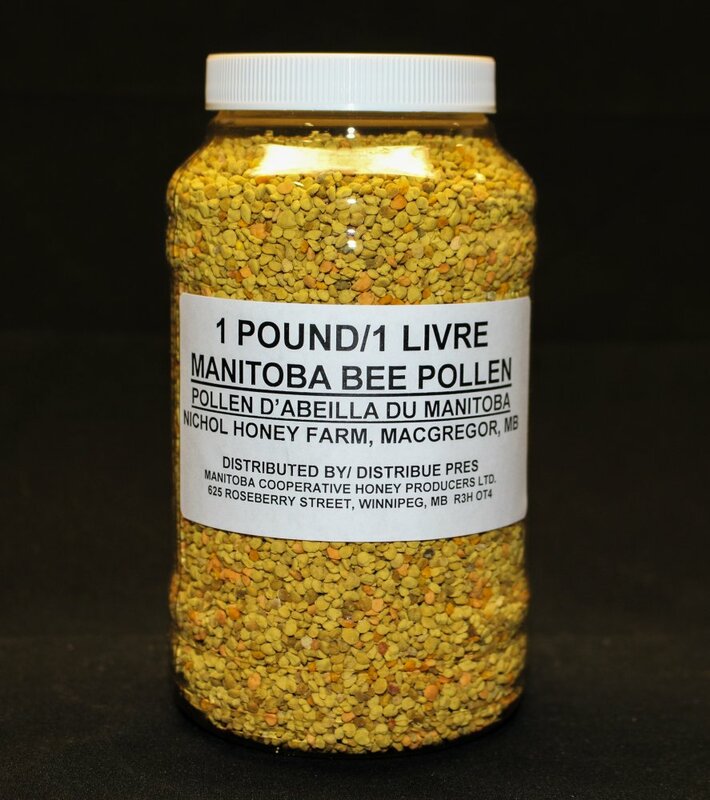 Our pollen is dried and ready for human consumption, and packed in 1 lb. containers. Alberta-source pollen is available from our Alberta outlet, while Manitoba pollen is available through our Manitoba and Saskatchewan outlet.